The District 39 Educational Foundation was honored to bestow its seventh Distinguished Citizen Award to Beth Drucker, President and Co-Founder of Go Green Wilmette. For over 25 years, Beth has been a community leader sharing her passion for connecting individuals to nature. Her environmental stewardship has touched the District 39 schools, the Village of Wilmette and all our neighboring communities. In 2006, Beth Drucker co-founded Go Green Wilmette, a community-based organization hoping to raise awareness and to inspire residences to take action and make a difference for our environment. Go Green Wilmette works with residents, schools, the Park District, the Library, the Village Board, local businesses, and neighboring communities to achieve a greener way of life. Through educational seminars, film showings, book discussions and their annual Going Green Matters community fair, Mrs. Drucker has impacted the way thousands of individuals view their role in environmental responsibility and their community. In 2013, Beth Drucker helped to establish the Consortium of Northshore Environmental Groups, a body representing 16 communities and their hopes to make the Northshore a greener place to live. Beth Drucker is known to all the District 39 schools through her work in the teaching gardens and the creation of the annual Bike to Highcrest event. 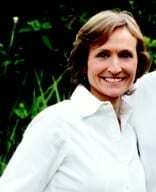 Beth was instrumental in the creation of teaching gardens at Highcrest Middle School and Wilmette Junior High. She spends 120 happy hours annually with students in District 39 school gardens sharing her enthusiasm for nature, horticulture and growing food. As the lady around town on her bike, Beth leads by example as she encourages all of us to depend less on our vehicles and go for a ride! Beth is a graduate of Middlebury College. She and her husband, Harry, are parents to three grown children, Will, Emma, and Nate. When she isn’t on her bike, in the garden, or enjoying nature, Beth is volunteering with AFS Intercultural Programs (the largest and oldest foreign exchange student program in the world), or planning her next travel adventure. For 25 years, Beth Drucker has made Wilmette a better place in which to live and educate our children.